1. 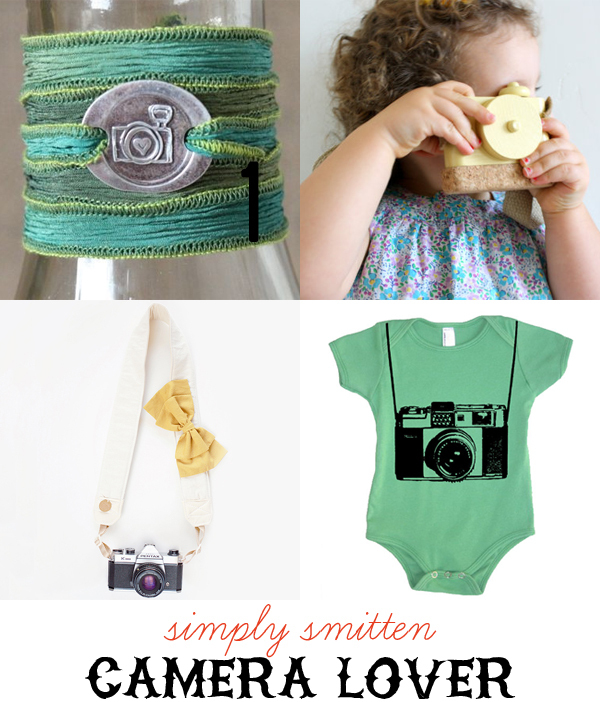 Rustic Camera Silk Wrap Bracelet from HorseFeathers Gifts. // 2. Pixie Wooden Toy Camera from twigcreative. (Benjamin will definitely be getting one of these next Christmas.) // 3. Bloom Theory Straps. Any. All. The Petite Cherie (pictured) is currently on sale! // 4. Vintage Toy Camera Onesie by lastearth.